Trimarco Jewelers is a family owned business that has been serving customers in the central Jersey area for almost 70 years. The company has been in Maplewood, NJ for 35 years, after being founded in Newark by Nick Trimarco. The company is run by the Trimarco siblings Kenneth, Judy, and Laura. They are on the second generation of ownership, as the store has been family owned and run since its inception. Trimarco Jewelers is known for high quality diamonds and custom work. The high standards that we hold our jewelry to attests to the quality of our product. High quality does not mean high prices, though, and you will find that Trimarco Jewelers beats the competition with affordable and reasonable prices. We welcome the trade value of your gold jewelry towards a new piece of jewelry. We are a well-known company and have business coming in from all over the US, not just in New Jersey. Our company is about so much more than the just the physical store- we are a business committed to providing customer satisfaction and excellent products. Our clients are loyal to us and continue to come back because they are always happy with our service. Our customers also spread positive word-of-mouth gaining us an excellent reputation. We pride ourselves on the relationships that we establish with our customers and the loyalty that they have to our company. For all the special moments in your life- from engagements, weddings, celebrating the birth of a child or grandchild, anniversaries, or that “certain something” to commemorate a special occasion, come visit Trimarco Jewelers because you are guaranteed to leave satisfied with a quality product. 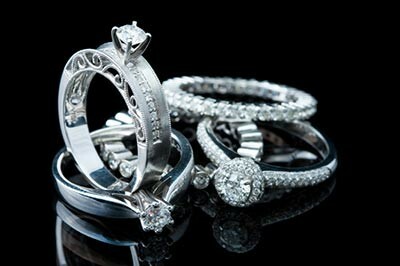 We are here to provide the best service, the best products, and the best choice in jewelry in the central Jersey area. Contact us today and have a visit to our store or to request a custom design!